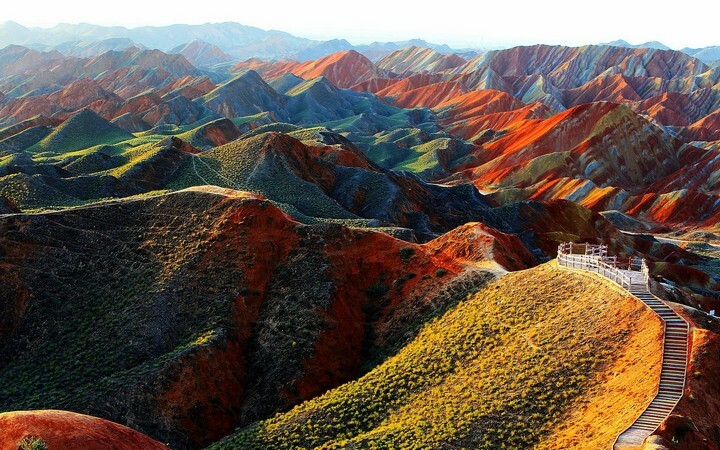 Zhangye Danxia National Geological Park, also known as Zhangye Danxia (Landform), has become one of the most important sites for landscape photographers and travelers that visit China since it was classified as a national park in 2011. 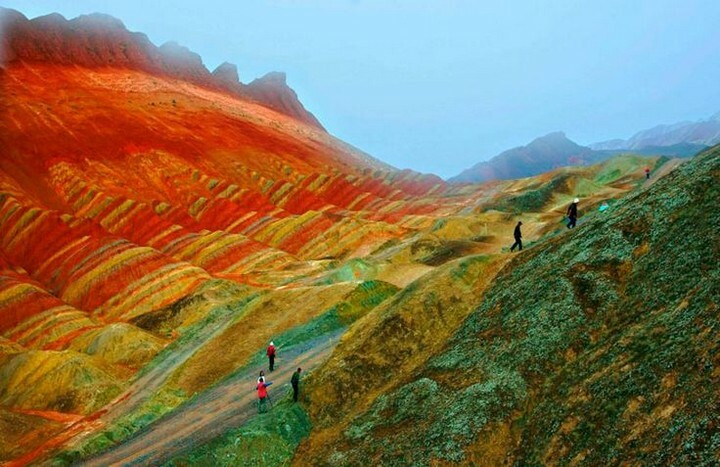 Located near the city of Zhangye (about 30 minutes west by car) in China’s northwestern Gansu province, in the foothills of the Qilian Mountains, the park spreads on 510 square kilometers of “landed rainbows”. 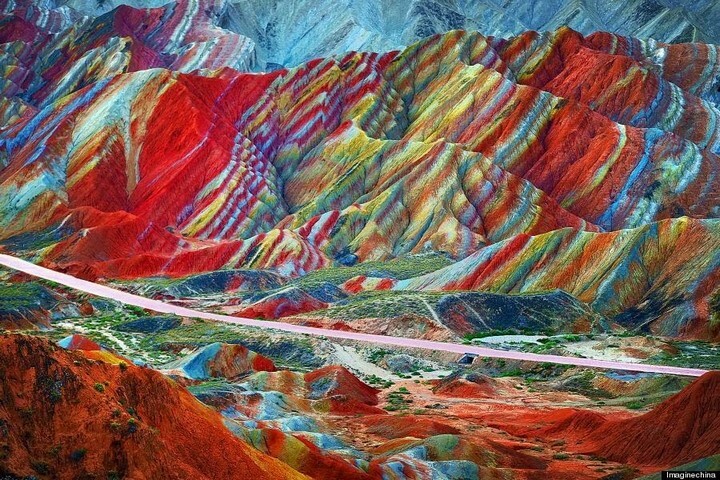 Zhangye Danxia is known for the colorful rock formations that showcase a sharp form and reach several hundred meters in height. 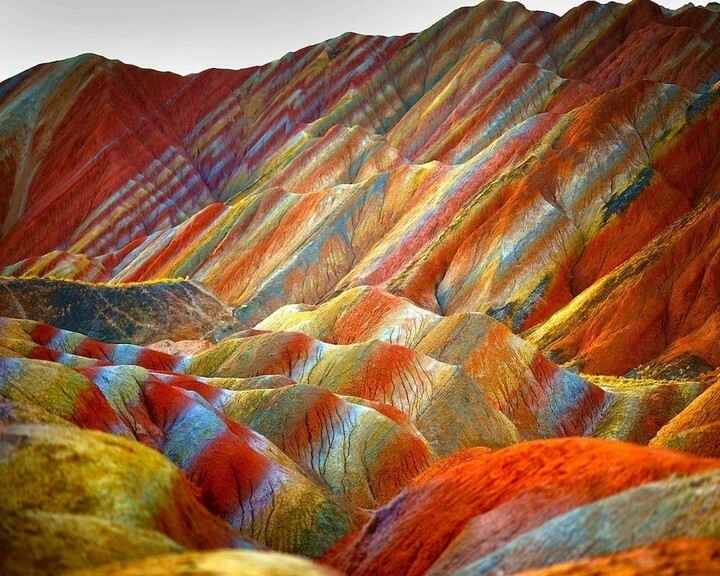 They are said to be the stunning result of 24 million years of deposits of sandstone and other minerals. 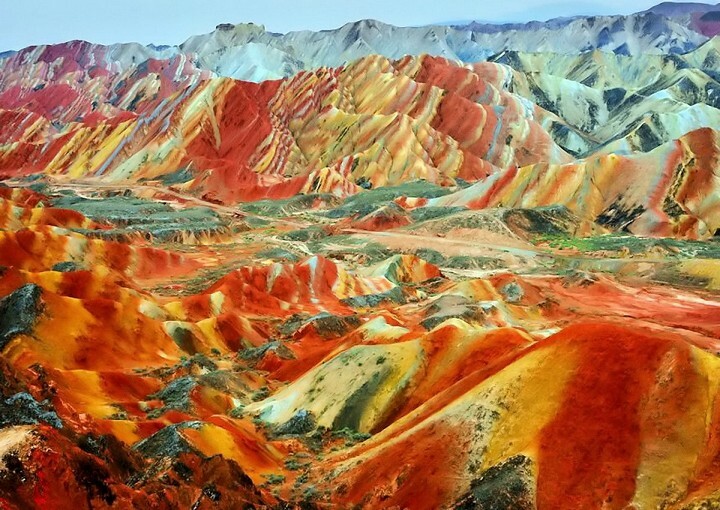 On the other hand, the time sculpturer worked patiently with its wind and rain, creating fascinating colorful shapes such as towers, pillars and ravines. 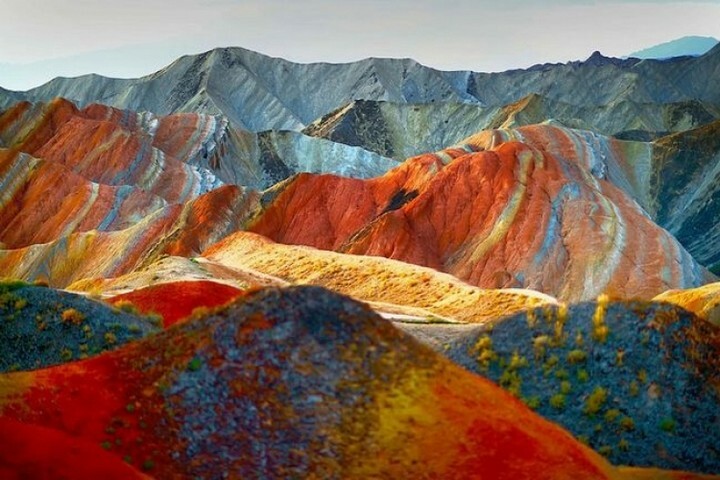 The most interesting place to visit in the park is Linze Danxia Scenic Area, located 30 kilometers west of Zhangye and 20 kilometers south of Linze County. The cost to enter into the park is 60 Yuan (around 10$) and this includes two tickets, one for entrance and the other for transportation with the buses within the park. 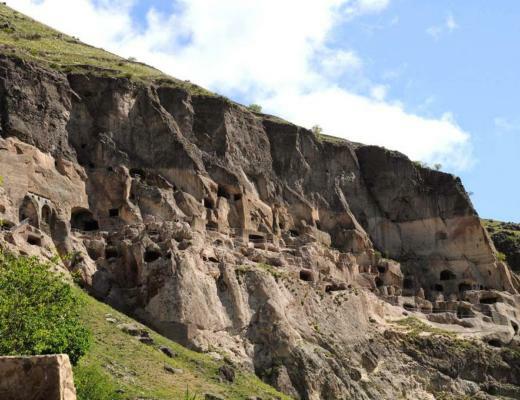 You have the option to hike the distance between the four viewing platforms which is around eight kilometers, or go with the sightseeing cars. 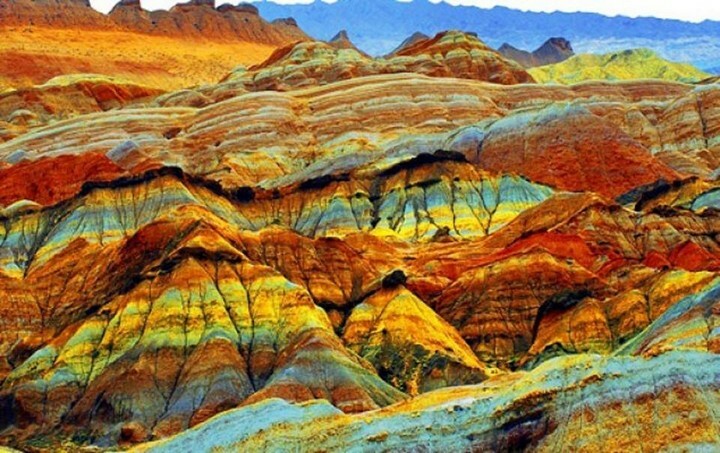 The best time to visit Zhangye is from June to September, in the morning or especially at sunset, the perfect moment to see the colors continuously changing, showing different intensities of blue, yellow and red layers. 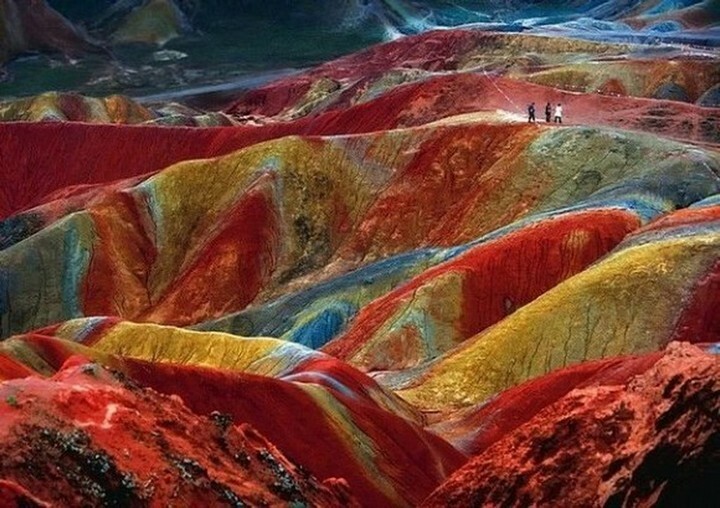 Beautiful pictures, I have never seen such beauty in any pictures of China before.